This mod adds 2 sets of class armors to the game. They come paired with weapons and shields. Some of them are focused on pvp, some on pve. The mod is a great addition if you want to spice up your singleplayer game for combat against monsters, or a nice touch for roleplay in a multiplayer environement, both friendly and hostile ! Would you like to lead an army ? Are red and black your favourite colors ? Are you found of the occult ? Maybe Necromancer is the class to go for ! Turn your foes into your allies, and lead an army of undead into battle against anyone you do not like ! Do you loath the death ? Do you have a grudge against the occult ? Do you prefer bringing order and light into the world ? Is being a White shiney Knight more your sauce ? 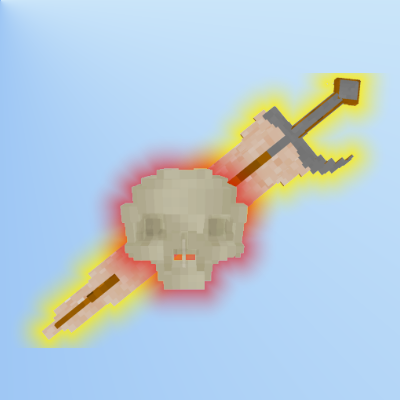 Start equipping that Paladin armor and smite your enemies or burn them to a crisp with your holy sword ! /!\ Note : the term 'Class' is defined by the set of armor you wear. 'Classes' are determined by waring all 4 armor class pieces, and 'Shielded Classes' are determined as 4 armor pieces of the class + the apropriate class shield. Most of the items only work if you are fully equiped as a 'Class', if not all. Requires the SubLib to run. Guys i'm going to need your help for this one. I need feedback on the classes and how you think they can be balanced out, so not one class is more powerful then another. any comment regarding classes will be read. I cant do this alone. I've been trying to for a couple of months, but I cant find a decent solution. Pm me, post an issue, leave a comment in here how you think the classes can be changed to have more stable and equivalent abilities ! I do know about the not upgrading. that got fixed in the meantime. try the latest 1.11 update ? the sword should not be vanishing, it either pops back to the player's inventory, and if no place is found, the special attack (that is in fact an entity) drops a copy of the sword on the spot it was spawned. a fix for class powers not working has been uploaded ! this version also requieres sublib 1.2+ due to the library missing a bunch of important syncing data before. I have tried everything I can think of, but I can't get this mods abilities to work. as a Necro or a paladin, the special abilities don't do anything. at first i thought it was something i was doing wrong, so I loaded into a single player and spawned in a full set of necro and paladin gear. put on all Necro gear, skull in hotbar, and shield in 2nd hand. right click causes an anamation and to hold the shield, but no skeletons. tried places skull in 2nd hand, still no affect. tried with full set of armor, and also no armor, same results. Tried to also get the paladin armor working, tried all the same actions for that set but with the sword. no affect at all. I confirmed i'm using the newest version of this addon, newest version of RPG class armor mod, and newest version of sublib mod. don't know what else to try.. removing mods from my server till this is resolved or details as to what I'm doing wrong. seems like a massive derp on my end. been fixing it since yesterday. expect a new version of the sublib and this mod (and other rpg mods) today !